At Kirsch-Goodwin & Kirsch, we provide representation for several major insurance carriers and third-party administrators (TPAs) throughout Arizona. The representation of our attorneys has been built upon providing the highest quality legal services to the insurance industry through addressing all needs of insurers from simple to complex insurance litigation and coverage. With vast experience in insurance defense, including large loss and complex multi-district litigation, we understand the need for early evaluation and development of a strategy, regular and proactive communication with the insured and the claims professional, status reports, budgetary concerns and successful outcomes. We have earned a reputation within the insurance industry for high ethical standards and cost-efficient and effective representation. We know that working together with the claims professionals is critical to the defense of insureds in third-party liability arbitration and litigation. Contact us to schedule an initial consultation. Given the broad field of insurance defense, it is imperative to work with accomplished Arizona insurance defense attorneys who not only understand the claims process and the various litigation reporting requirements of different insurers, but are also experienced in various types of claims and committed to resolving claims expeditiously, cost-effectively and successfully. 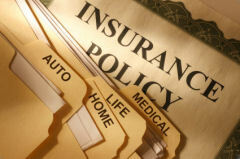 Regular reporting and regular communications with the insurer and the insured are key to our insurance defense practice. For insurance defense from experienced lawyers, call the Scottsdale, Arizona, law firm of Kirsch-Goodwin & Kirsch at 480-585-0600 or contact our office online.